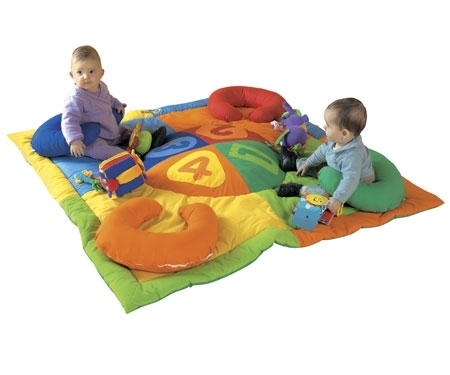 4 horseshoe cushions are securely attached to this attractive multi-coloured mat, designed to be an activity centre for the very young. The cushions help children to keep their balance when they’re learning to sit. From their secure position they can easily observe those around them, or play with toys, in complete safety. Made from 65% polyester / 35 % cotton fabric with polyester fibre wadding. Washable at 86 F.